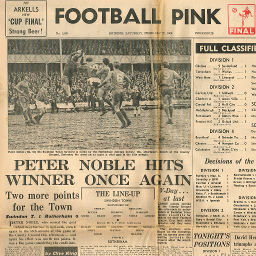 When Swindon travelled to Rotherham in the penultimate match of the 1968/69 season, they did so in the knowledge that a point would be enough to clinch promotion to the Second Division, after the success in the League Cup earlier in the season. 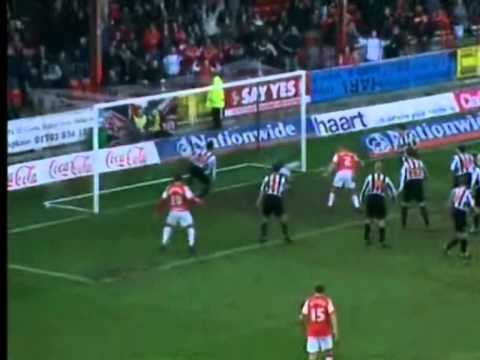 After a goalless first half, Rotherham threatened to spoil the party, taking the lead just six minutes into the second half - but the Town were rewarded after piling on the pressure in the last ten minutes, when substitute Chris Jones raced onto a Harland through-ball to drive it into the net for the equalising goal that won promotion. 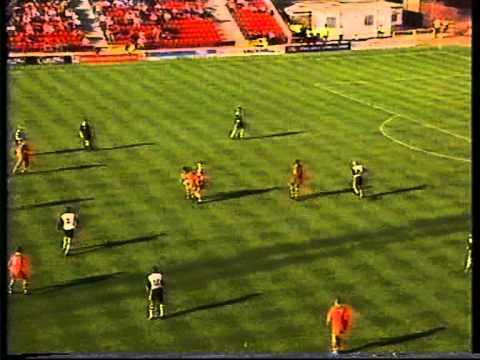 Second half goals from Jimmy Quinn and Dave Bamber are enough to see off Rotherham at Millmoor. 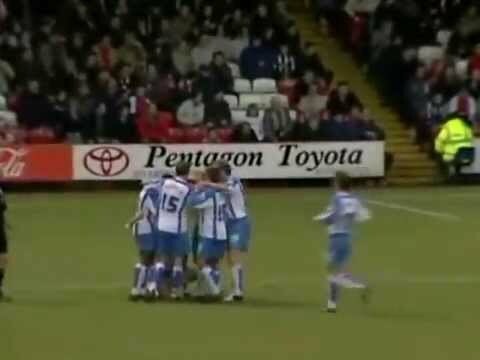 A thunderbolt from Ty Gooden gives the Town the points in a dire game against Rotherham at the County Ground. Two goals in the last twenty minutes by Steve Finney gives Swindon a victory that maintains their three point lead at the top of the table. 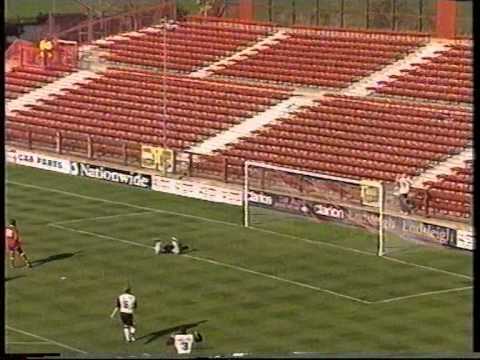 Swindon record back-to-back victories for the first time since relegation, Ian Woan and Danny Invincibile scoring the goals in a 2-1 win. 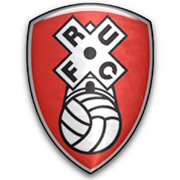 Rory Fallon's goal at Rotherham lifts the Town off the bottom of the table. An action packed ten minute spell in the first half sees both sides score twice - but Martin Butler's goal in the second half condemns Swindon to defeat in this crucial match at the wrong end of the table. 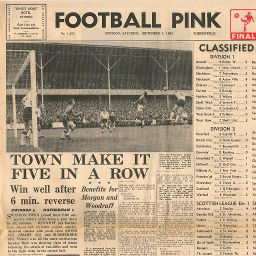 Click to view a newspaper report of Swindon's 3-1 win against Rotherham United in the 1963-1964 season. 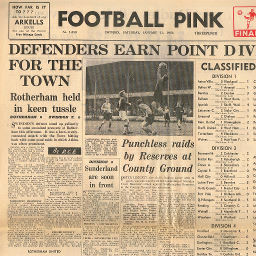 Click to view a newspaper report of Swindon's 0-0 draw at Rotherham United in the 1963-1964 season. 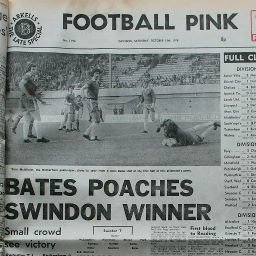 Click to view a newspaper report of Swindon's 1-0 win against Rotherham United in the 1968-1969 season. 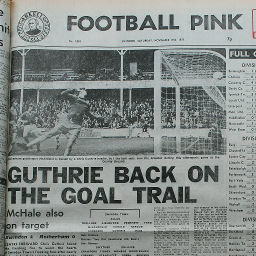 Click to view a newspaper report of Swindon's 2-0 win at Rotherham United in the 1975-1976 season. 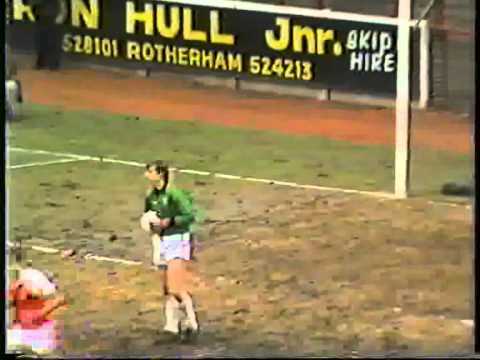 Click to view a newspaper report of Swindon's 2-4 defeat against Rotherham United in the 1976-1977 season. 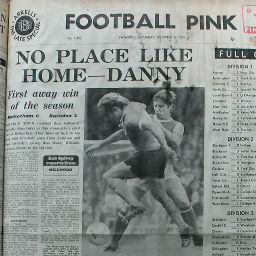 Click to view a newspaper report of Swindon's 1-1 draw at Rotherham United in the 1976-1977 season. 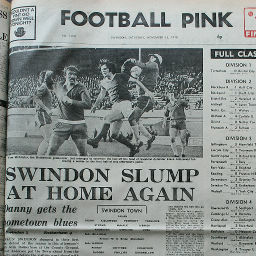 Click to view a newspaper report of Swindon's 2-0 win against Rotherham United in the 1977-1978 season. 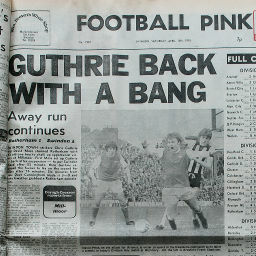 Click to view a newspaper report of Swindon's 3-1 win at Rotherham United in the 1977-1978 season. 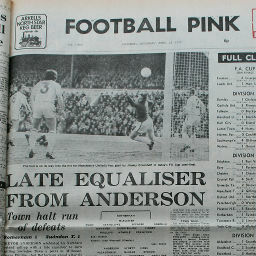 Click to view a newspaper report of Swindon's 1-0 win against Rotherham United in the 1978-1979 season.